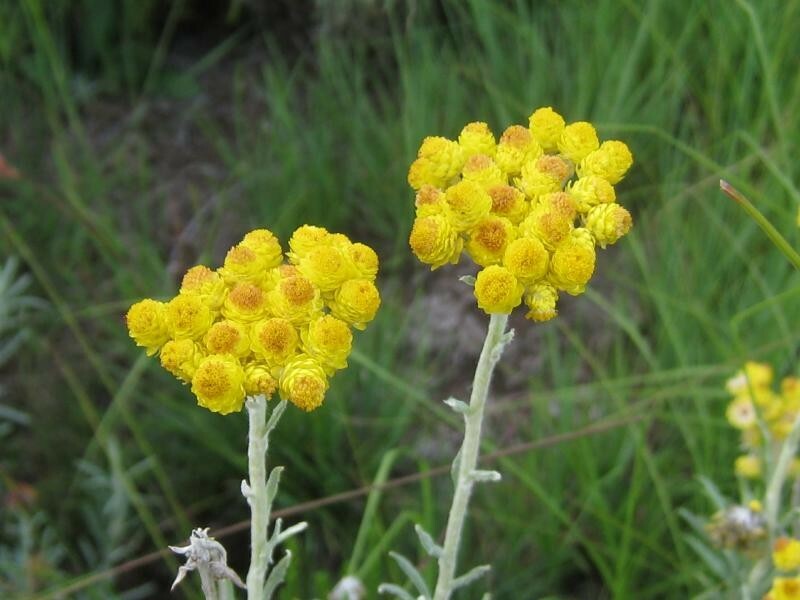 While Imphepho is commonly used in treating coughs, colds, headaches and other ailments, it is most often used as visionary herb and sedative or to induce lucid dreams by smoking, often in combination with Tobacco, or Helichrysum odoratissimum is simply burned as nice, relaxing incense. The active alkaloids of Kooigoed (Imphepho) appear to be Chalcone and Helichrysetin. Helichrysum odoratissimum is an extremely aromatic perennial herb used in South Africa, where it is commonly known as Imphepho or Kooigoed by KwaZulu-Natal natives.